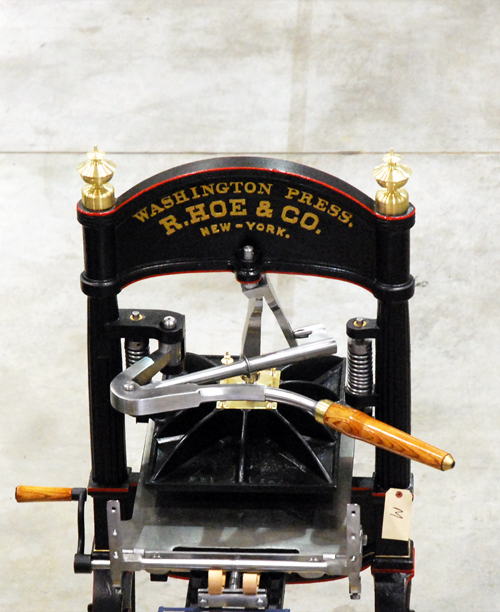 Another Washington type press emblazoned with brass finials on the platen as well as two on the head. 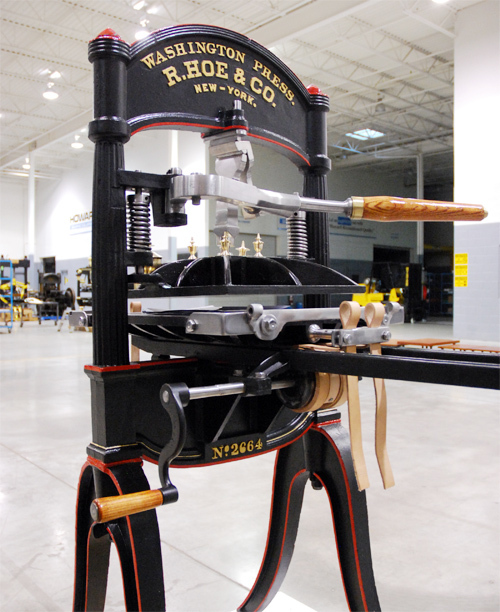 This press is one of the smaller Washingtons in existence, and very rare. 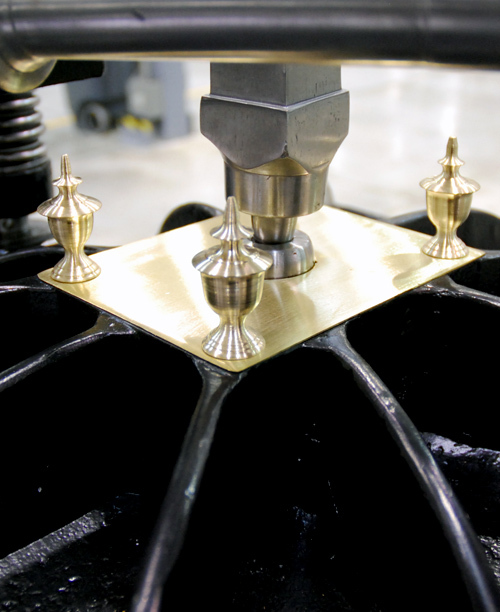 The frame is also made to be taken apart in pieces for easier moving and this was an option at the time.